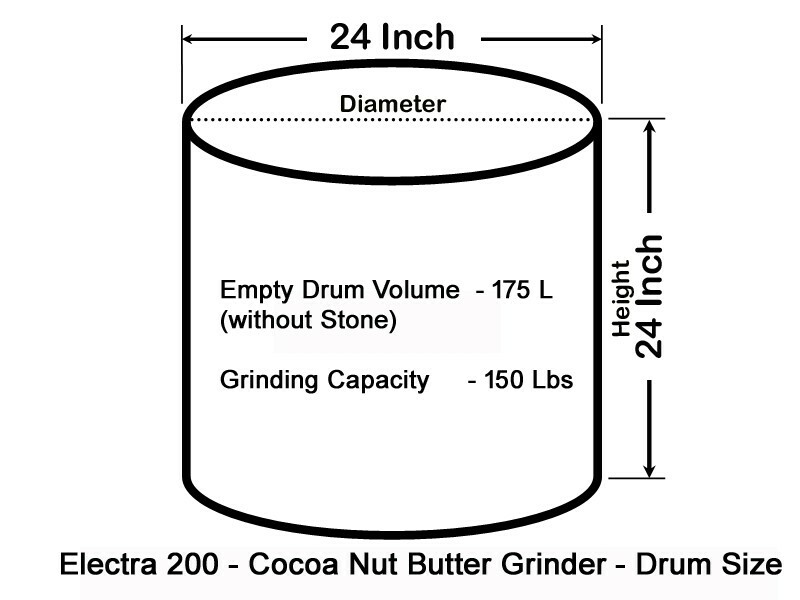 The ideal machine for cocoa processing and nut butter processing and other multipurpose grinding needs. Chocolatieurs and foodiest need for controlling the speed of the conching process, and we made it. The newly developed 2018 model with an electronic speed controller unit allows the drum rotation speed to be varied from zero to full speed with extra added features. This 175 Litres empty drum volume capacity machine is the perfect companion to enterprise and can grind upto approx 150-175 lbs of cocoa bins. The classic Titling feature makes it unnecessary to have to lift the vessel or drum to pour out the contents. Simply tilt and pout it out and avoid straining yourself. Cleaning is a breeze, simply pour water, run the melanger for a few seconds and pour out the water. It almost cleans itself. Solid 100 % Stainless Steel body provides elegance, strength and durability. In addition, this melanger has all the features that make it stand out like powerful motor, gear drive, exhaust system, black granite stone for long life and high quality internal and external components. Tension of the granite stones can be adjusted to obtain different grades of shear at different stages of grinding and for different ingredients. Double granite roller stones and only model with SS 304 double scrapper that rotate over a granite base. This creates quick tremendous shear that reduces the cocoa nibs to fine chocolate liquor and nuts into paste with a particle size of the order of less than 15 microns. Speed controller and control panel is provided as standard with the unit, and comes with built in electrical MCB protection. This unit helps you to set the machine speed for different processing and adjust the quantity of ingredients. This is very much useful for you to differentiate your process from others, and make your receipie and processing unique to yourself. The machine works as a conch and a refiner. The tension from the stones can be fully released for the conching cycle without grinding further, such that the cocoa liquor is continuously exposed to air without grinding it further and the volatiles are removed. All models have this feature and there is no need for a separate model or attachments to buy. There is no need to buy any additional add-on's or attachments, and all are included. This amazing stone melanger grinder is the perfect companion to your endeavor. We have made several key enhancements to the melanger to make it perfect for Chocolate, nut butters, mexican masa, cosmetics and other food processing. Our stone melangers can be used to make Marcepan from almond, Mesa from corn, coconut paste, Gianduja from hazel nuts, Pistachio and cashew butters, Tahini from sesame seeds, flax seeds paste, Sphagnum moss for facials, Hummus from boiled chick peas, rice batter from rice, Quinoa and many an other grinding application. 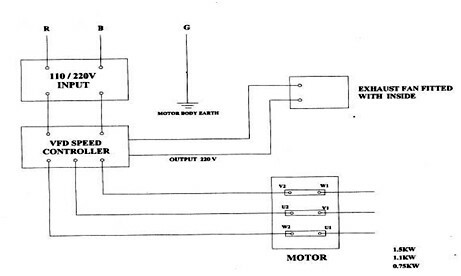 Long, trouble free operation with GEAR drive for heavy duty with heavy duty GEAR BOX. High grade rust proof Stainless steel 304 drum with food grade components. No Plastic components in contact with food grade stainless Steel hub as a standard. Machine can be operated without the lid on if necessary. Lid can be removed while running. For Home Delivery please mail to [email protected], Additional Charges applicable. 1. Is Electra available in 110V/60Hz? 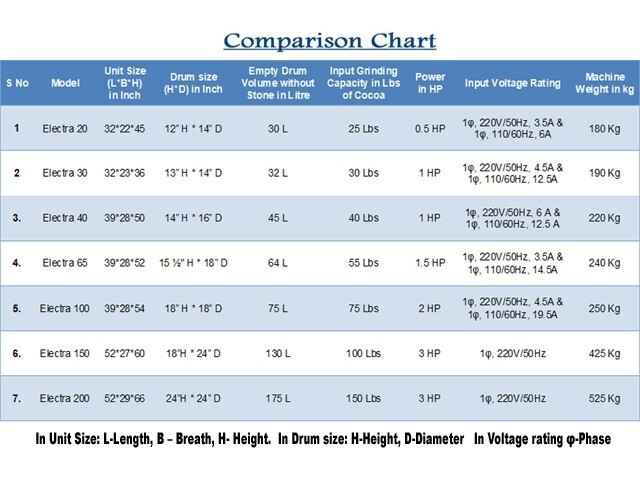 Yes, Electra 200 is available in both voltages 220V and also available in 110V for use in Japan, Canada, USA, etc. No hidden prices and no more additional charges, all are inclusive in one price like shipping cost and insurance. Customs and Local Duty paid by customer. Electra 200 is specially designed to grind cacao and nut to get smooth butter and creame chocolate. Electra 200 uses Hard Black Granite cylindrical stone rotates over the hard black Granite stone base drum. 5. What is grinding capacity of Electra 200? The Capacity of Electra 200 is 150 Lbs. 6. What is the maximum running time of Electra 200? Usually, Electra 200 is tested upto 72 Hours and can run even longer without over heating. 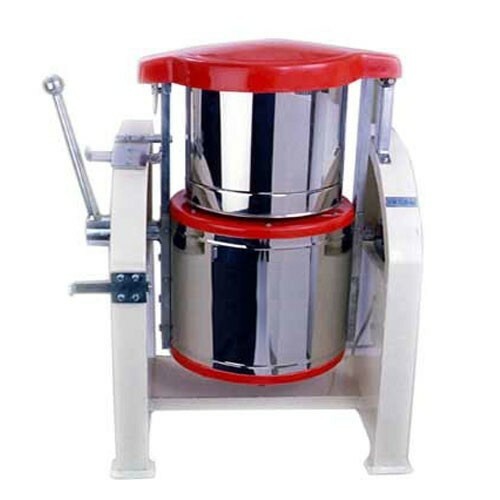 Since Cacao grinding, nut butter process are hard to grind, Electra 200 is designed for this purpose of continuous grinding to get the smooth and soft chocolate and nut butter. 7. What is function of Electra 200? Chocolate Grinding, Nut butter grinding, Pea nut grinding, Chocolate Mixing, Almond butter Grinding and all chocolate conching process. Electra 200 is a 220 Voltage three phase Chocolate melanger, metallic body grinding capacity is about 150-175 Lbs. Approx the net weight is about 525 Kg. 9. Is it shipped to my home location? 10. Do I need any additional Attachment? 11. How about life time and warranty?